Enjoy Huge Discounts with the Facebook Special! Click Here to Book Now or Use Promo Code FBC! Private Island Oasis Minutes from Disney's Magic Kingdom. 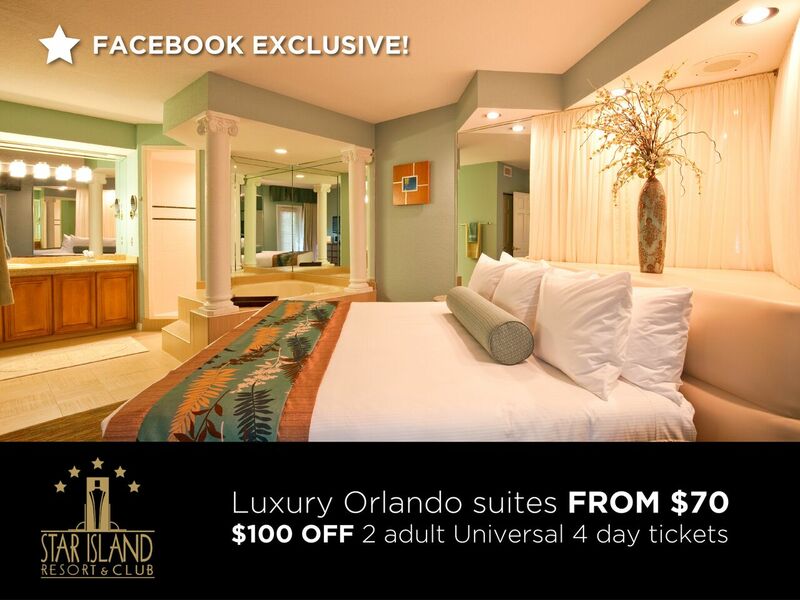 $100 off two adult Universal 4 Day Park to Park Tickets! 25% off Spa Treatments! Luxury Mediterranean-Style Villas.